The two-lane bridge, which is two-thirds of a mile long, has connected Boston’s Long Island with Quincy’s Moon Island since 1951. The bridge is owned by the City of Boston. With less than five hours to evacuate Long Island, about 300 people, including homeless and recovering addicts, were rushed over the dangerously decayed and newly condemned Long Island Bridge in early October. Medications, journals, and plates of food that had just been warmed were all left behind. There seemed no time to waste. But there had been plenty of time — days, months, years, decades, in fact — in which the structural hazards of the bridge grew increasingly obvious, and city officials did little beyond patchwork fixes to address them, a Globe review has found. 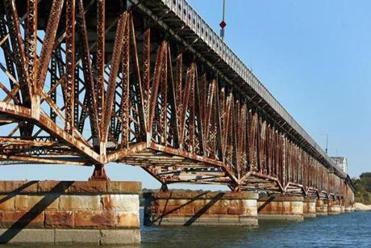 Inspection reports as early as 2007 had identified corrosion that was eating away at large sections of the structure and weakening its gusset plates — the key joint connectors that ultimately triggered the closure. 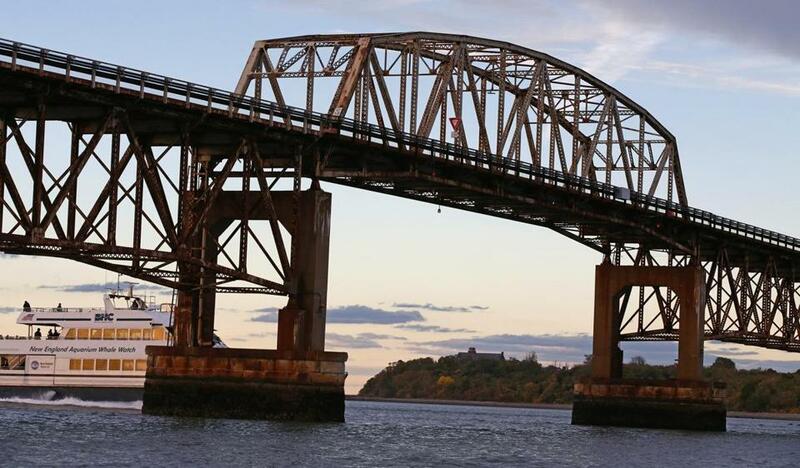 In 2010, another inspection of the plates found “advanced deterioration including loss of section and corrosion holes.” Just this summer, an e-mail sent among some city officials reported that the bridge had begun to buckle. Yet, when the bridge was finally deemed unsafe for travel on the afternoon of Oct. 8, the city had no emergency evacuation plan in place — and no plan for where to house those who relied on the island’s shelter. The Globe review also found that some city officials had known for days that the bridge faced the likelihood of imminent closure but did not pass on warnings to the mayor’s office or the organizations operating on the island. Given more time, city leaders and advocates for the homeless could have arranged a more orderly exit and identified alternative shelters for the vulnerable population as winter’s chill closed in. Mayor Martin J. Walsh defended the bridge’s sudden closing as a safe and necessary precaution — “I was not willing to risk the possibility of disaster for one more night” — but acknowledged that he was not aware of some key facts when he made the decision. He was unaware that the city’s Public Health Commission did not have an evacuation plan in place, Walsh said, and that the only way to get the residents and staff off the island was over the bridge that had just been condemned. 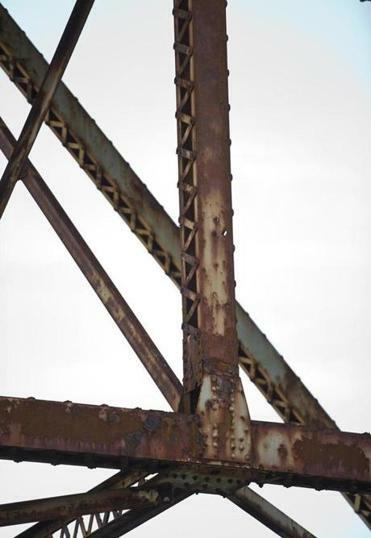 A support beam on the Long Island Bridge was ridded with rust and holes. But neither Jayasinghe nor his boss, Public Works Department Commissioner Michael Dennehy, notified the mayor about the possibility of a closure until well after 3 p.m. on Oct. 8, setting off the mad scramble to evacuate the island as darkness fell. The homeless, addicts in recovery, and staff who cared for them were given just a few hours to leave. And the only way to the mainland was over the decrepit bridge. Built in 1951, the steel truss bridge is a two-lane causeway — nearly two-thirds of a mile long — that serves as the sole connection between the mainland and Long Island. The island, which is part of Boston but attached to Quincy’s Moon Island via the bridge, has long been a refuge for some of the city’s neediest residents, first as the site of an almshouse, then an infectious disease hospital that was converted in 1983 to the city’s largest homeless shelter. That same year, the Public Health Commission also began housing detox programs for drug addicts on the island. 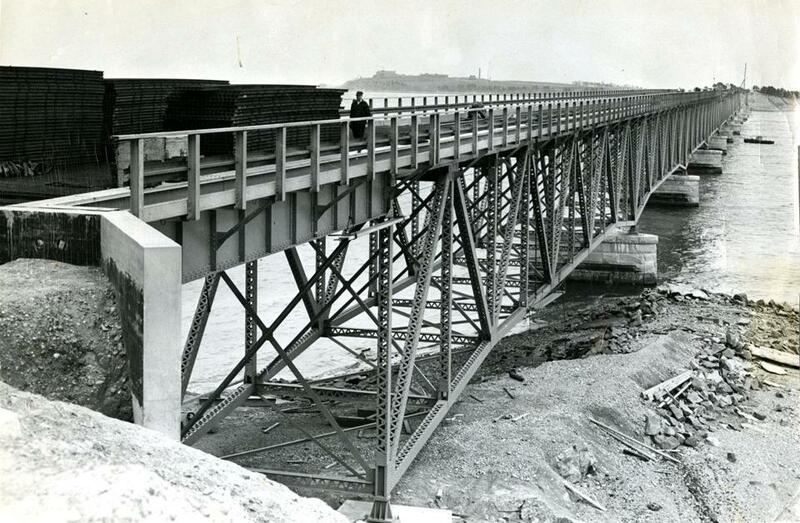 Bridges constructed at that time were typically built to last about 50 years, according to experts. Every two years, a city-contracted consulting firm, TranSystems Corp., inspected the bridge using federal safety standards as a guide, even though such inspections were not required. Then in 2007, a highway bridge in Minnesota collapsed, killing 13 people — a failure blamed on its gusset plates. Numbering in the hundreds on a large bridge, the steel plates are typically bolted, riveted, or welded to connection points, and serve as critical reinforcements to joints on the structure. For years, under federal guidelines, the condition of gusset plates had not been fully analyzed when determining how much weight a bridge could withstand. But after the Minnesota bridge collapse, the government adopted guidelines that put more scrutiny on the vital connectors. But city officials have said only one of those areas was repaired. Documents show that the city spent most of its repair money over the last decade tending to the most urgent emergencies as they arose, leaving other areas to languish. According to Jayasinghe, the city has spent about $13 million since 2004 on repairs. “When it comes to bridges, we spend the money that needs to be spent,” Jayasinghe said in an interview. In 2012, the city determined the bridge needed more than $15 million in repairs; some of that work had been scheduled to begin this fall. The series of events that led to the hurried exodus on Oct. 8 began with the state’s adoption of the most recent federal bridge safety guidelines in February. 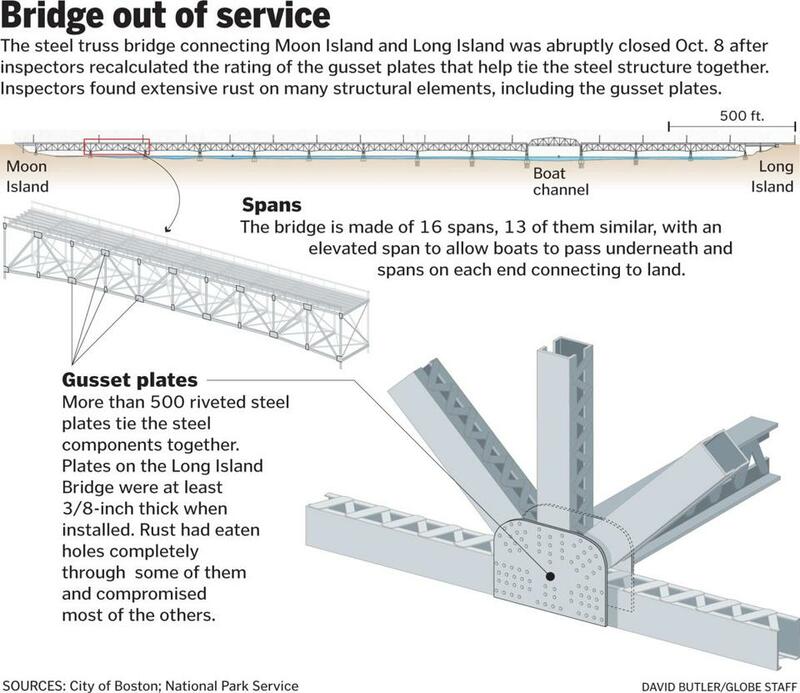 The city began using those guidelines — which include the stricter protocols for gusset plates — in the fall, as it began a regularly scheduled inspection of Long Island Bridge. In the months before the closure, the bridge increasingly showed signs of its age: the June e-mail reported that the bridge had buckled by approximately 3 inches. Another report this summer indicated thatdeep potholes in the bridge surface were damaging the undercarriages of the MBTA buses that used the bridge. As the inspection began in September, the alarm bells grew louder. “Field reviewed the current bridge conditions yesterday and confirmed the fact that the bridge is deteriorating faster than expected,’’ Jayasinghe wrote in an e-mailto Dennehy and other city employees on Oct. 1. On Oct. 6, Jayasinghe was warned that the bridge could very well need to be closed. TranSystem consultants, who were conducting the review, told him that some gusset plates had a load rating of zero tons — meaning it would be unsafe to let even one car drive across. Abolhassan Astaneh-Asl, a professor of structural and bridge engineering at the University of California Berkeley who reviewed bridge’s inspection reports at the Globe’s request, wondered why more maintenance wasn’t done earlier to address the deterioration of the gusset plates, especially since they had been noted in inspections for years. “It takes years for a gusset plate to lose a whole area so that it’s at a zero rating,” he said. After the consultants warned Jayasinghe that the bridge could be unsafe, the engineer sought the advice of the state’s bridge experts. They met two days later, at around 1:30 p.m. on Oct. 8, in the state Department of Transportation building to go over the inspectors’ findings. At around 3 p.m., Jayasinghe called Dennehy, the public works commissioner, alerting him that the state experts agreed with the TranSystems consultants that the bridge should close. At about 3:50 p.m., one of the consultants got more specific — and more urgent — in an e-mail sent to Jayasinghe. “This closure should happen by the end of the day,” the consultant wrote. Dennehy, who was on the fifth floor of City Hall when he received the call from Jayasinghe, and Kate Norton, the mayor’s press secretary, said they bolted to Walsh’s office, where the mayor was in a meeting. Dennehy said he was concerned about the 300 people who were on the island and another 400 who were, at that moment, on buses winding through Boston heading to the bridge to get to the island’s overnight shelter. Dennehy said he stood outside the mayor’s office while Norton caught Walsh’s eye and signaled that they needed to speak with him immediately. Walsh came to the doorway and asked what was going on. “Long Island Bridge,’’ Dennehy said. That was enough to get the mayor’s full attention; he and Dennehy had been talking about the bridge for months and had feared this day would come. “I said, ‘We need to shut the bridge down,’ ’’ Walsh recounted. 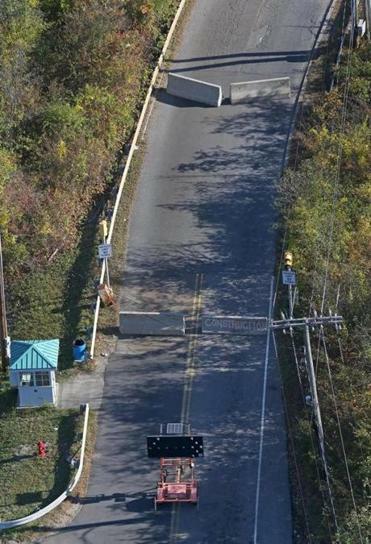 Barriers were in place to block access to the Long Island Bridge on the day after the closure order. Word had to go out to the guards at the gate, crews had to be assembled to block the bridge’s entrance, and space was needed for people to stay that night. Dennehy then gathered other key Cabinet officials — including health and human services chief Felix G. Arroyo and emergency management chief Rene Fielding — near his office on the seventh floor. It’s unclear why city officials believed the bridge had to be closed within five hours. Dennehy initially told the Globe — and has said as much at public meetings — that the five-hour evacuation window came from state officials. But the state has been adamant that it has no oversight over the city-owned bridge and that it did not order its closing or the evacuation of the island and only offered an opinion at the city’s request. Norton said that officials from the Public Health Commission and public works were responsible for setting the five-hour evacuation deadline, but she did not know who gave the order. The Public Health Commission had begun devising an evacuation plan as early as January, in the event of a major emergency or prolonged bridge repairs, but records indicate that 10 months later, none was in place. According to a draft report titled “Long Island Bridge Emergency Closure Plan,” dated January 2014, the city was exploring ferry service to and from the island three times daily to transport clients, staff, and limited supplies in case the bridge had to be shut down. The week before the closure, 15 officials from several city agencies, including the Public Health Commission and the Police Department, met to discuss the plan and had many unanswered questions. In meeting notes, officials appeared to be unclear about their options for moving people during an evacuation. “Need to speak with someone with specialized knowledge (marine engineer) and ensure that transportation options really are viable,” the notes on the ferry plan state. Some of the social service programs on the island had plans to “shelter in place” if the bridge closed temporarily for any reason — snowstorms, a catastrophe, or major construction. They had done it in the past, hunkering down until the bridge was cleared for travel. They had hoped to do it again. Some of the programs had enough food and resources to last for a week or two; others had backup generators. But on Oct. 8, they were told to leave. Dennehy also acknowledged that he knew on Oct. 6 a closure could be imminent but said he did not want to raise unnecessary alarm. “The intent was not to create a nine-alarm fire when there wasn’t one,” Dennehy said. But officials from some of the programs on the island said earlier warnings would have helped. Walsh said he was not aware of the Oct. 6 warning from the consultants until asked about it by a reporter. He voiced dismay that the Public Health Commission did not have evacuation plans in place prior to his taking office in January. He said his team made a series of “tough judgments” on Oct. 8, and he stands by his decisions. At the time of the steel-truss span’s construction in 1951, bridges were typically built to last about 50 years, according to experts. Now the question is what comes next. On Friday, the city began soliciting bids from contractors to demolish the top portion of the bridge, down to the supports, which will remain. Work will include disconnecting the utility lines that carry water and power to the island. Demolition is expected to be completed by the end of April, city officials said. Walsh’s administration has put aside about $35 million in a five-year capital plan for the bridge but has not explained how the city will raise the other $45 million needed to reconstruct it. The city has also allocated $9 million for a new bridge design, with half of the money coming from the state’s Transportation Department. The design process could take about 12 months, officials said. The mayor has said he is committed to keeping the homeless shelter and recovery programs on the island. Philanthropist Jack Connors on Friday renewed his pledge to continue Camp Harbor View, a program for Boston children, on the island next summer. He said he hopes to get the same number of children — 450 in July and 450 in August — and the camp’s 90-member staff onto the island using the Bay State Cruises ferry service. The camp will also have access to the Police Department’s Harbor Patrol speedboats in case of emergencies, said Sharon McNally, executive director of the Camp Harbor View Foundation. Meanwhile, social services agencies that serve vulnerable clients are seeking alternative locations. The city is exploring several options for a temporary facility to serve as a long-term shelter. It plans to restore two Mattapan buildings as sites for some of the recovery programs. Walsh said he is doing what he can to address the crisis and return a sense of normalcy to the displaced. “I know that people are angry and that people are upset,’’ Walsh said. Meghan E. Irons can be reached at meghan.irons@globe.com.